NEW YORK: Chamberlain Communications Group, an inVentiv Health company, launched a new health and wellness-focused agency called SharedVoice Public Relations. New York and New Jersey-based SharedVoice, which will serve as a sister agency to Chamberlain Healthcare Public Relations, will offer integrated communications to small- to mid-sized healthcare companies and divisions. The spin-off's clients will be aligned with other inVentiv Health companies, including Ignite Health and GSW Worldwide. Reba Auslander, a 20-year healthcare and consumer PR veteran who has worked at Chamberlain for 7.5 years, will head SharedVoice. "We have found in the last couple of years especially there are more health and wellness and life-science focused companies looking for support in a variety of communications areas, and we saw an opportunity to build a brand that is designed to meet their needs," said Auslander. "In the SharedVoice model, clients receive the ongoing support of senior advisors with the flexibility to scale a team up or down quickly or add members with more nuanced expertise to meet a specific need. The combination brick and mortar, part virtual agency model allows us the agility to do this, while still providing the core support clients have come to expect from the Chamberlain Communications Group." 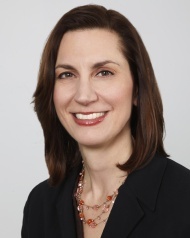 Auslander will be joined by former Chamberlain colleague Michelle Strier, who was hired as SVP. Arizona-based Strier will support the agency's client service, management, and West Coast business development.